As a parent, it can be hard to make sure that your kids are getting enough fruits and vegetables. This can be especially hard for finicky eaters or kids who only like certain food groups. However, fruits and veggies are essential for growth and making sure that your kiddo is growing big and strong. Below, we’ll discuss some easy tips and sneaky tips to help your child enjoy eating fruits and vegetables. At Valley Learning Centers, we’re proud to offer 10 locations in Arizona to better serve your son or daughter. Contact us today for more information or for a tour of one of our facilities! We look forward to hearing from you! If you find yourself in a rut of the same fruits and vegetables, it may be a good idea to purchase a weekly or bi-weekly delivery of fresh produce to encourage expanding your palates and tastes. 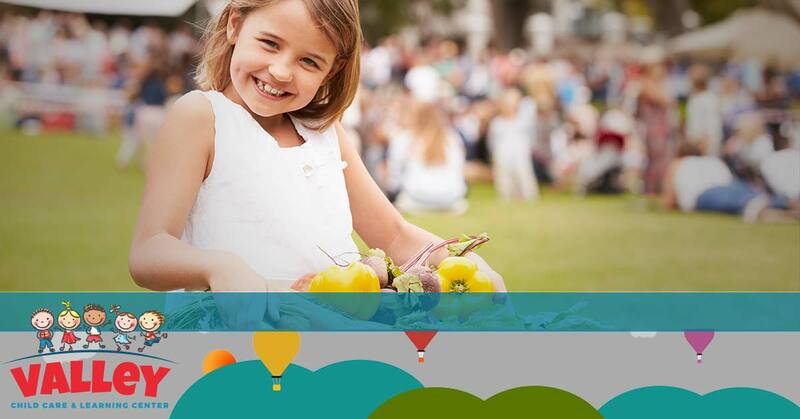 Get your kiddo involved and bring him or her with you to pick up the fruits and vegetables. Community supported agriculture (CSA) deliveries are becoming more and more popular and are a great way to partner with local farmers to receive some delicious seasonal vegetables and fruits in exchange for financially supporting the farm. 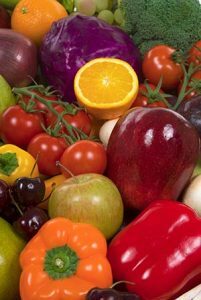 If a CSA isn’t available in your area, there are many nation-wide produce deliveries to choose from as well. Show your child each different fruit and vegetable and talk about what types of food it would compliment. You can even cut small slices and sample them together. By making it exciting to get a weekly delivery, your son or daughter may become more interested in trying new foods. If you don’t own a food processor, it can be an invaluable resource for adding more fresh produce to your child’s diet. A food processor can puree and shred unsavory vegetables such as sweet potato, spinach, cauliflower, broccoli, and beets so they can be added to soups, casseroles, meatloaf, and even pancakes. Your kiddo might not like a steamed or roasted beet on its own but you can add a few beets to a favorite casserole and he or she may gobble it up! Sometimes changing up the texture and presentation of a previously-disliked food could make it a family favorite. This may take some getting used to, but serving some fresh and cooked vegetables with breakfast is a great way to get the day started on the right foot. An omelet filled with spinach, cheese, tomatoes, and other vegetables will add some fiber, vitamins, and minerals to the first meal of the day. You’ll also add nutrition and flavor to an otherwise boring breakfast staple. If your kiddo prefers more sweet breakfast options, you can make him or her muffins full of strawberries, blueberries, bananas, and other fruits. A yogurt parfait is also a yummy option and a great way to add some protein. One of the best mom tricks, a smoothie is a sneaky way to pack a nutritious punch. A seemingly innocent peanut butter and banana smoothie could also have blueberries, strawberries, fresh spinach, and even kale added to it without sacrificing any of the mouth-watering flavor. Strong flavors such as chocolate, banana, and peanut butter will cover up a host of veggies and fruits, and smoothies can be made for children as young as a year old. If you want to add even more nutrition, try throwing in some protein powder, flax seed, or coconut oil. A smoothie can be a yummy treat full of vitamins and minerals. When your child gets home from school, he or she is probably hungry and could use a snack. 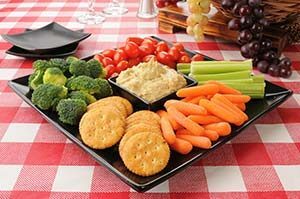 Instead of having chips, cookies, or other unhealthy snacks on hand, offer cut-up vegetables and dip, a fresh fruit salad, or celery and apples dipped in peanut butter as a healthy option. These snacks can be prepared in advance for a quick grab-and-go option, and you can mix it up with seasonal options as well. Eating healthy and adding plenty of fruits and veggies to your kiddo’s diet is a great way to give him or her the building blocks to grow strong. At Valley Learning Centers, we’re proud to offer 10 early learning centers across Arizona. Call today to enroll your kiddo!